What are the answers to the statement 94% Something you miss when on vacation of the 94% game? It is sometimes difficult to find all the correct answers, but don’t worry. If you get stuck on any level just visit our website for the solutions to all the levels. So here are the answers to Something you miss when on vacation, so you can earn the 3 stars and unlock a new level. 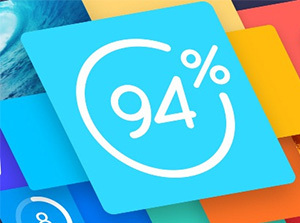 If you want the answers to all the levels just click on 94% answers. 94% Something you miss when on vacation for Windows phone is not yet available. Note: some of the answers may differ from device you use or from the version of the game you have on your phone. Our suggestion is that you update to the latest version of the game. If you have any suggestions or corrections about “94% Something you miss when on vacation” answers feel free to leave a comment. Help us, help other players! If you enjoyed our website, please share it using the social buttons below! © Copyright 2019 All rights reserved 94% cheats.